Women’s friendships are often too difficult to truly describe. Often, authors depict them as too catty, or on the other end of the spectrum, too perfect, with no underlying jealousy or anger. 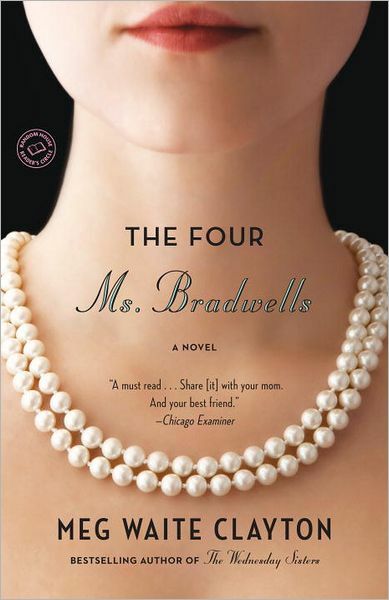 Author Meg Waite Clayton captures the dynamic, conflicting nature of these relationships perfectly in her latest novel The Four Ms. Bradwells. Now out in paperback, the novel boasts four very different women and their intricately detailed and beautiful friendships. Mia, Betts, Laney and Ginger met on the first day of law school, and they have been the best of friends ever since. The year was 1979, and these four women were revolutionary in their own right, attending law school, determined to prove they could succeed as well as any man. Now, years later, Mia, Laney and Ginger are in Washington, D.C. to support Betts at her Senate hearing and confirmation as Supreme Court justice. Mia can’t help but feel a small thrum of jealousy at her best friend’s success, but she knows Betts has worked hard for this and wants to be there for her. What the four women don’t expect, though, is for a question to be asked at Betts’ hearing, one that drags up a secret buried deep in their shared past. Desperate to weather out the storm, Mia, Laney and Betts follow Ginger to her family’s house on a remote, secluded island, hoping that things will return to normal soon. But now that old hurts have been brought up, the four women can’t help but recall the past and wonder what the future might bring. Laney, Ginger, Betts and Mia spend their time thinking about their shared history, and reflect on their relationships with one another. They’ve managed to keep some secrets from each other for all this time, but now, nothing can be hidden any longer. The women realize that they must stop hanging onto old hurts and appreciate the beauty in the friendships they are so lucky to have.